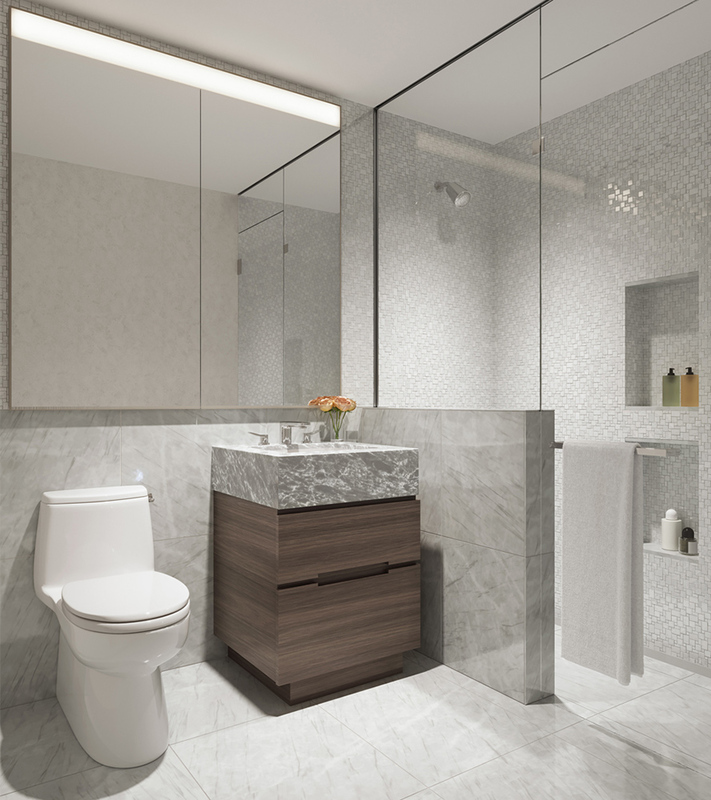 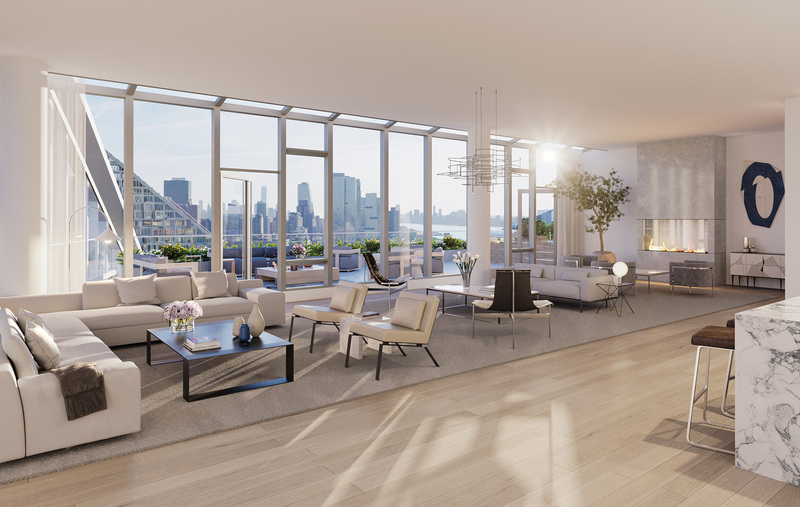 Two Waterline Square is perfectly positioned to enjoy breathtaking views of the Hudson River, the George Washington Bridge, and the magical city skyline. 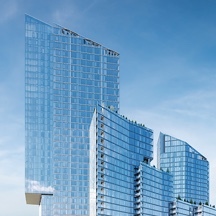 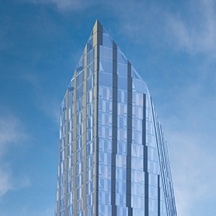 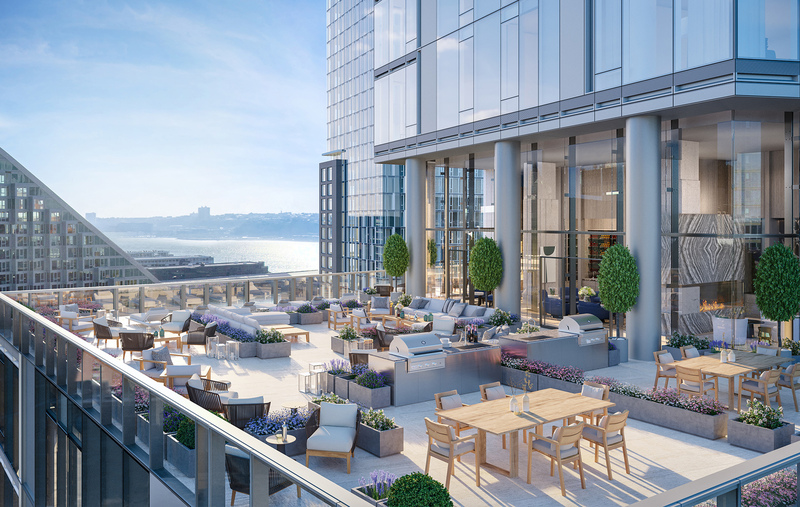 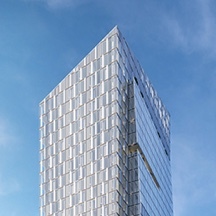 Designed by Kohn Pedersen Fox Associates, masters of glass towers that punctuate the sky, the impressively scaled architecture is accentuated by a series of ascending set-back terraces at the top and a gracious porte-cochère arrival at ground level. 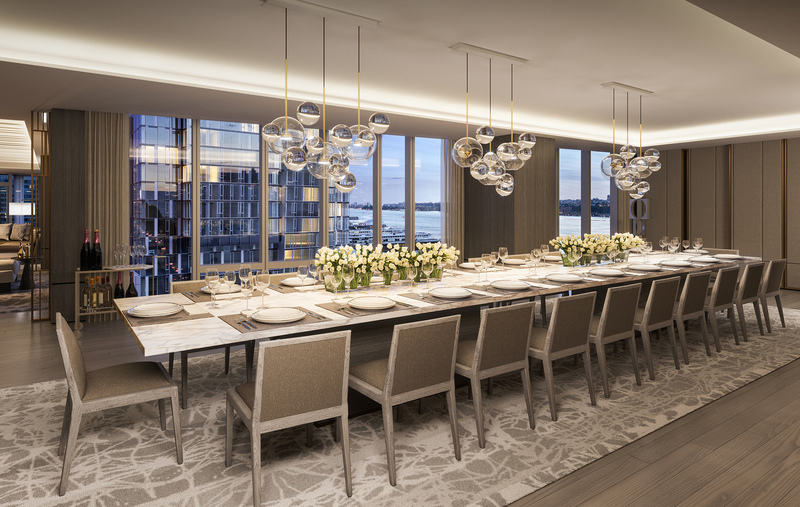 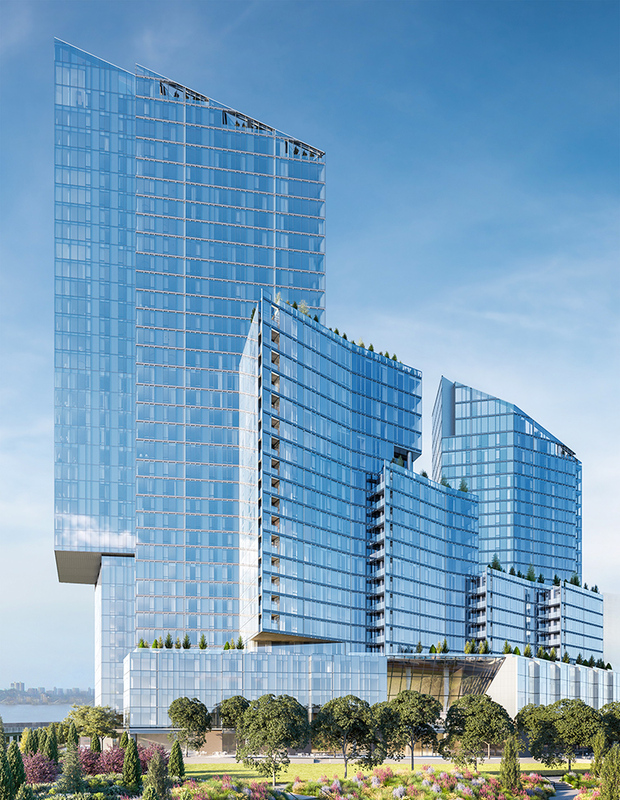 At the pinnacle of Two Waterline Square’s river-facing tower are its thoughtfully designed residences. 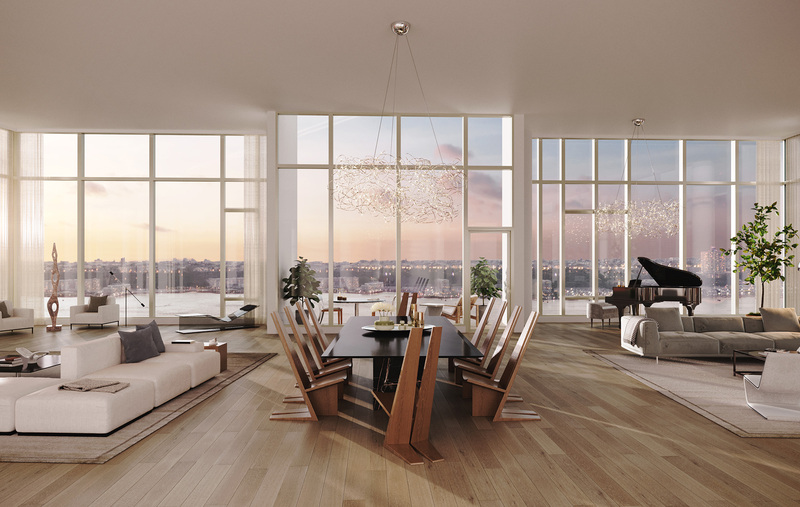 High ceilings and oversized windows frame the remarkable water and skyline views, and the light-filled interiors are enhanced by a rich selection of natural materials throughout, providing a truly refined sense of home. 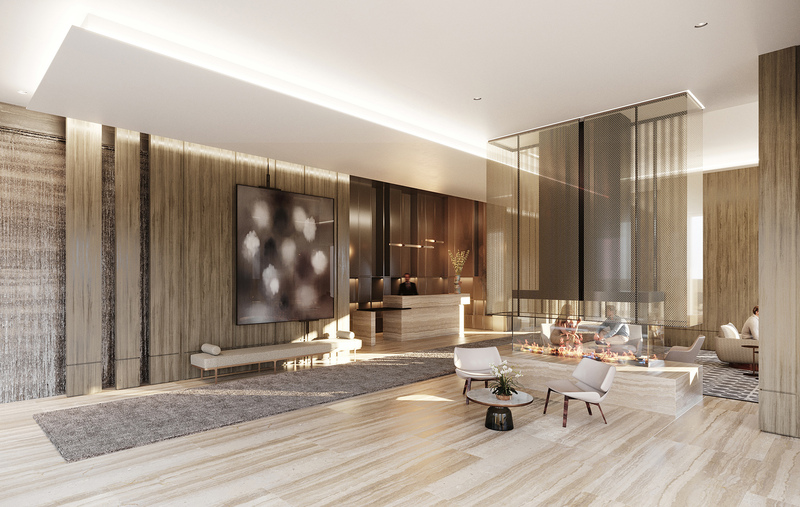 Beautifully appointed by Yabu Pushelberg, the Lobby welcomes residents with a warming fireplace. 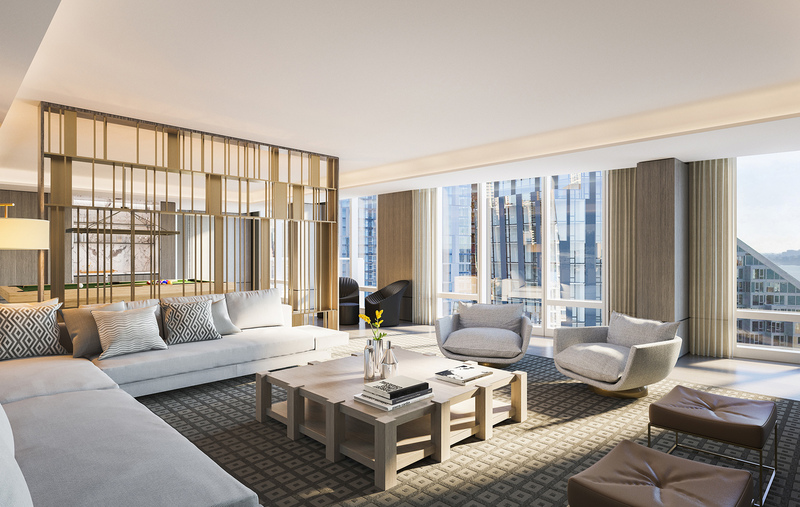 George Yabu and Glenn Pushelberg have been creating timeless interiors for nearly 35 years and are known for some of the most enchanting residential and hotel spaces throughout the world. 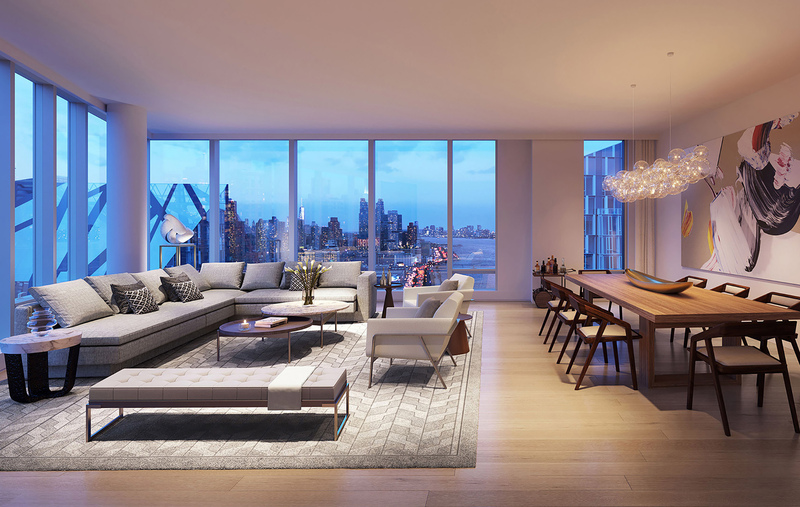 As delicate as the glass facade of Two Waterline Square appears, the interiors present a sense of grounded, peaceful solidity. 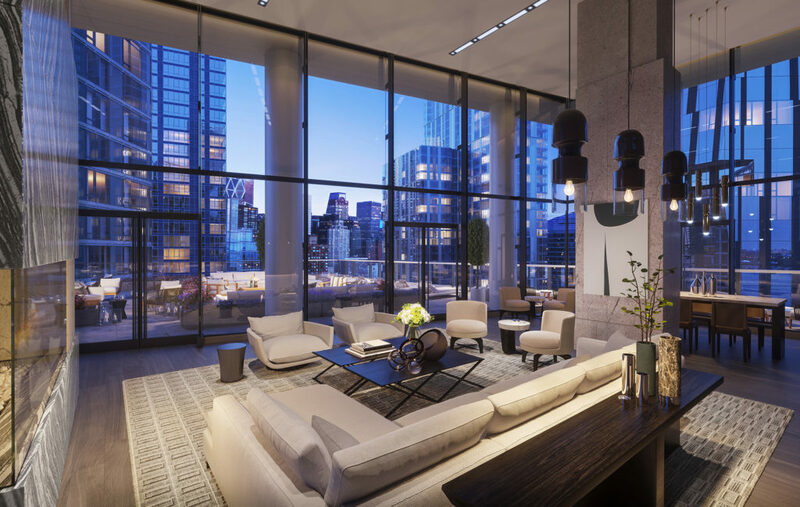 The lavishly proportioned lobby features floor-to-ceiling windows and brilliant expressions of stone. 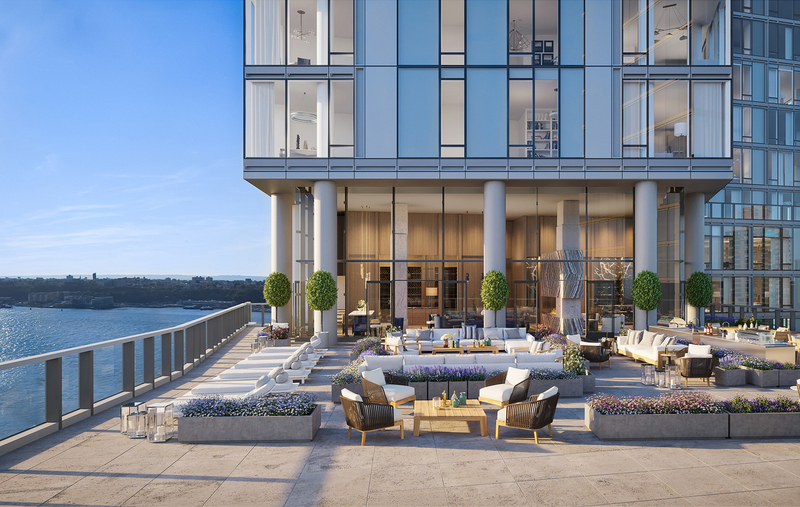 High above, each residence has been considered to optimize the splendid riverfront setting, creating thoroughly modern, light-filled homes. 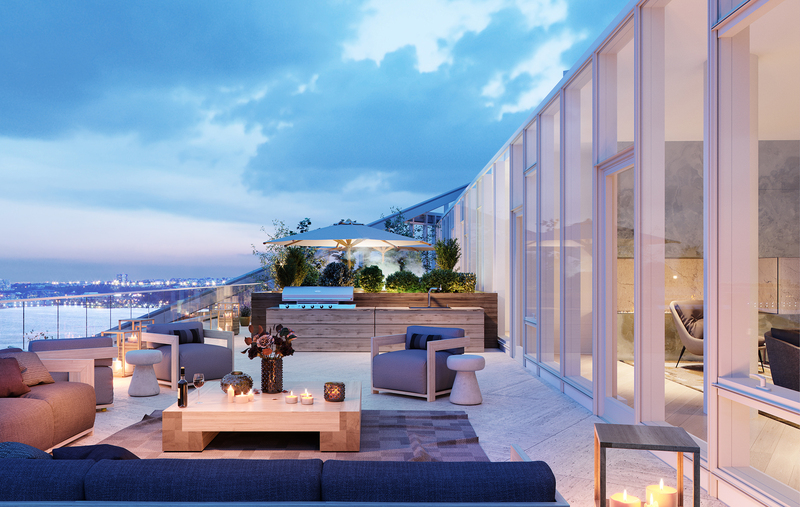 embrace the spectacular views, day and night. 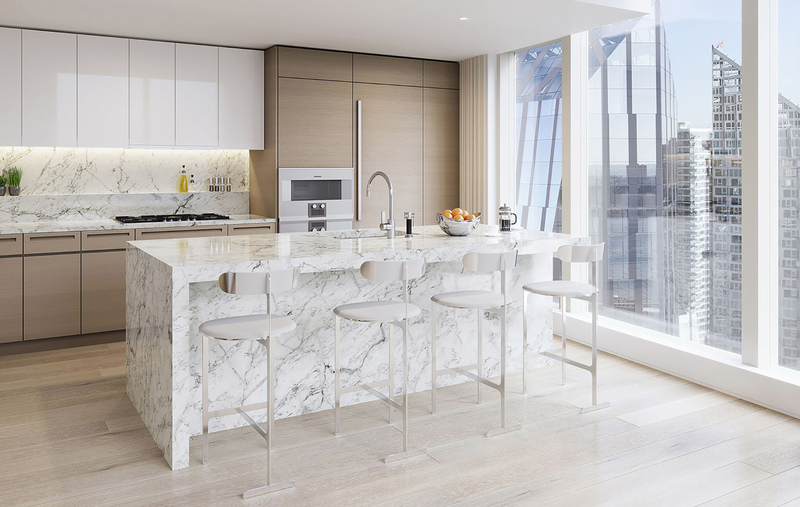 classic white marble, and warm wood and white lacquer cabinetry selections. 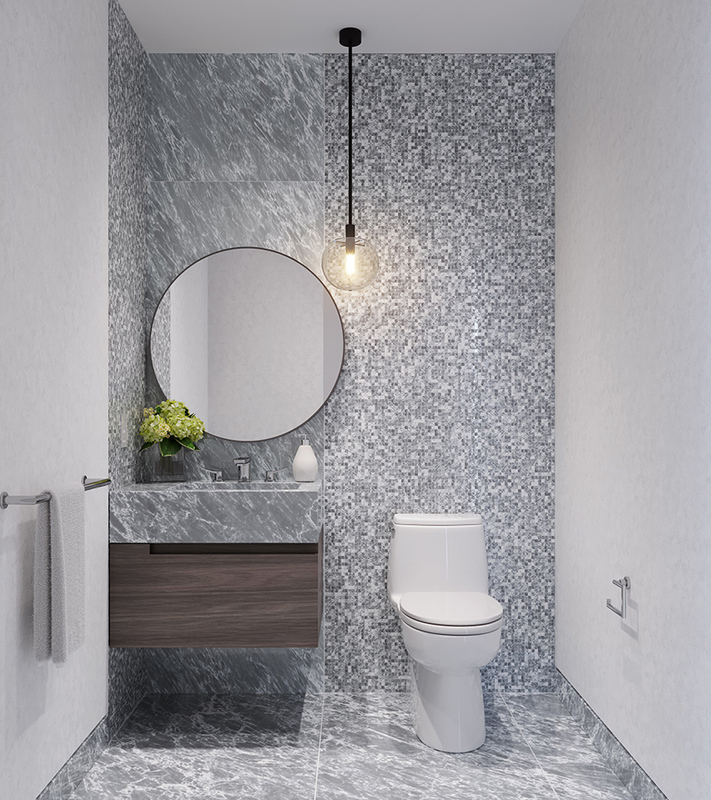 mosaic creates a captivating powder room. 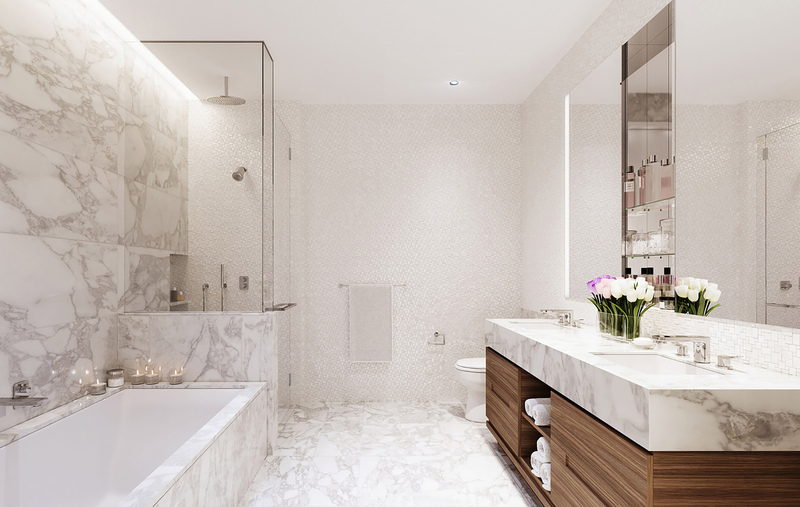 A thoughtfully curated, robust suite of sky-high private amenities provides residents additional indoor and outdoor space to relax and entertain.